Angels are truly incredible, high vibrational beings of pure love and light, and you can connect with them! You're no longer limited to simply learning about angels from others, or reading about the experiences other people have had with them. You can directly connect with angels for yourself! And doing so is helpful, inspiring, and rewarding on so many levels. This is the core mission and focus of the work of Melanie Beckler. To help you experience and directly connect with the love, guidance, and frequency of the angels for yourself! Reading or listening to the direct angel messages Melanie channels, is in and of itself a powerfully healing, uplifting and spiritual experience. Alongside each and every word, is the direct presence of angels for you to connect with and experience first hand so you can elevate your vibration and connect with the love and guidance of the angels for yourself. Melanie has published a number of angel message books, that are now available for you in print, on kindle ,or in .pdf ebook versions below. The guidance and angelic energy present along side each and every word in Ascension Angel Messages, will help you to lift in love to connect with the wisdom of the angels. As you read the angel messages based on direct angelic channeling from Melanie Beckler, you will experience angelic healing, love, light, and guidance which will assist you in progressing on your ascension path. In this book of channeled angel messages by Melanie Beckler you will be guided to tune into the love, healing and wisdom of the angels which will assist you in bringing more joy and abundance in to your life. Reading the angels messages is similar to a reading meditation… As you relax and remain present as you read, you will experience angelic presence, love, and healing. Get Angel Messages on Amazon Here! Or Click Here to Purchase on Smashwords! Experiencing angels is simple once you know how to make the connection. This book consists of 7 channeled angel messages which will help you to pave the pathway so that you can directly connect with the Angelic Realms for yourself. Get Experience Angels on Amazon Here! Or Click Here to Purchase from Smashwords! This book contains 13 powerful angel messages of healing love and light. Simply reading these messages will help you to open your heart. With a clear mind, and an open heart you will be able to directly connect with the one source energy flowing throughout all that is. You will also be able to connect with your guides and angels. Click Here to Get It On Amazon! Or Click Here for Smashwords! Connect with the direct-channeled teaching from the Guides and Angels of the Light. Alongside every word in the book, there is an uplifting angelic frequency. As you read, you will be guided to open your heart, shift your perspective within, and feel, experience, see, and know that you are in the presence of angels. 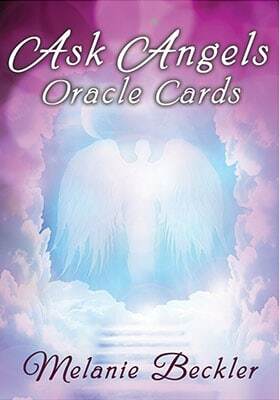 Lift in love to connect with clear guidance, wisdom and healing frequency of your angels in a real and powerful way using the Ask Angels Oracle Cards… Ask a question, draw a card, and tune into the messages of angels. Libros de Angeles en español tambien! Hello, where can I purchase the book The Complete Guide to Angels Numbers? by Melanie Beckler. Thank you for your help. Thank you for these wonderful books. I already channel messages to people from guides and angels as I do psychic art, but these books are helping me to bring even more information through to add to my readings that accompany the portraits of guides and angels I draw. I have shared your website with friends and people I have met through doing the psychic art. It is changing their lives! Thank you so much Janine! 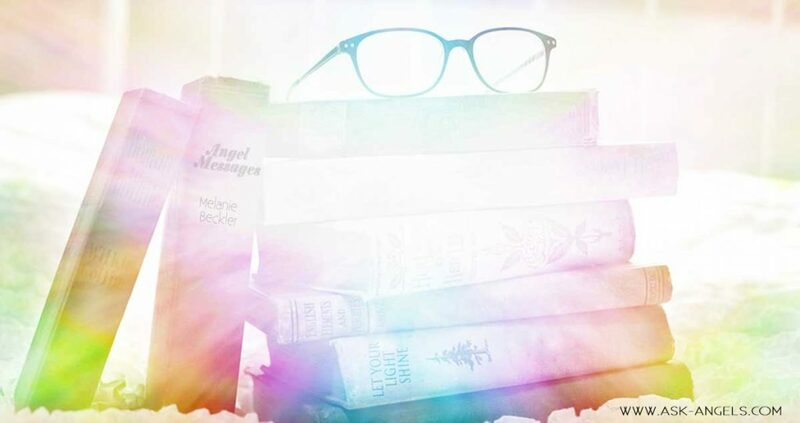 The channeled angel messages in these books really do carry the frequency of the angels who are speaking, so I’m excited though not surprised at all that they’ve helped you to tune into your angels more!